We Shine Academy, the best TNPSC Coaching Centre in Chennai for all Group exams is very glad to announce the aspirants that We Shine Academy is providing exclusive coaching for TNPSC Group Exams with highly skilled, efficient and experienced faculties.It’s a well known fact that We Shine Academy is the best training institute for TNPSC all sort of exams conducted by the TNPSC not only in Chennai all over the state with proven records and the students of We Shine Academy are directly working under government of Tamil Nadu on the respective departments. Tamil Nadu Public Service Commission (TNPSC). TNPSC is responsible for recruiting personals to the civil services in Tamil Nadu.TNPSC deals on all matters relating to methods of recruitment to Civil Services and for civil posts and also on the principles to be followed in making appointments to Civil services and posts and in making promotions and transfer.TNPSC job notifications are common and usually rolled out by TNPSC every year to recruit the civil servants to work under Government of Tamil Nadu directly. We Shine Academy Specialized in following TNPSC Group Exams. Deputy Superintendent of Police (Category-I). Deputy Registrar of Co-operative Societies. Assistant Director of Rural Development Department. Assistant Commissioner in the Tamil Nadu Hindu Religious and Charitable Endowments Administration Department. Assistant Commissioner – Commercial Tax officer. Divisional Officer in Fire and Rescue services Department. Deputy Commercial Tax Officer (DCTO). Probation Officer in Prison Department. 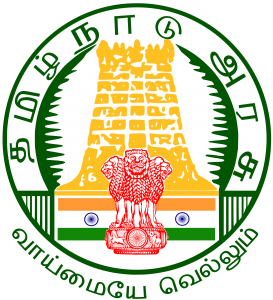 Assistant Section Officer in Law Department/ TNPSC/ Finance Department/Various Departments in the Tamil Nadu Ministerial Service/Secretariat Service. Assistant Inspector in Local Fund Audit Department. Special Assistant in the Vigilance and AntiCorruption Department. Audit Inspector in the Audit wing of Hindu Religious and Charitable Endowments. Senior Inspector of cooperative societies. Accountant in Treasuries and Accounts Department. Personal clerk in Finance Department, Secretariat. Personal clerk in (other than Law and Finance Dept) Secretariat. Personal Clerk in Tamil Nadu Public Service Commission. Personal Clerk in Tamil Nadu Legislative Assembly. Assistant in various Departments in the Tamil Nadu Ministerial Service/Secretariat Service/Legislative Assembly Secretariat Service. Assistant in the Divisions of Commercial Taxes Department. Revenue Assistant in Revenue Department. Steno Typist − Grade III. EXECUTIVE OFFICER, GRADE-III in the Tamil Nadu Hindu Religious and Charitable Endowments Administration Department. Why We Shine Academy the Best TNPSC Coaching Centres in Chennai? We Shine’s answers are very simple perhaps highly powerful. Best coaching by the expertise in regular class format. Similar questions that we use as of the commissions exam. Quick evaluation and self-analysis report for preparation strategy. And can add lot more points to the question Why We Shine Academy, is one of the best coaching institute in Chennai. We Shine Academy, mainly focus on the syllabi method of coaching for all competitive exams. Each and every topic will be given as a test to the all the We Shine Academy students and evaluation part will be done on the same day of exam. Marks obtained by the we shine students will be compared with the couple of previous test that they took on the series and We Shine Academy’s growth graph will provide a clarity and clear idea to the students about their preparation strategy and level of competency on their individual Self Analysis Report which was handed over to them. The best tnpsc coaching centre in Chennai, We Shine Academy again and again has proved its open mined thought by providing the asset of We Shine Academy not only to its own students instead to all the aspirants in state of Tamil Nadu who are preparing for the TNPSC Group exams. Asset we meant is our priceless TNPSC Model Question Paper that We Shine uploads in the website for the utilization all the students in open for all concept.We Shine Academy, also circulates the previous year TNPSC Group I, II, IIA, IV, VAO and Technical exam questions papers for the benefit of TNPSC Group Exam aspirants for an idea and clear vision about the exam. How to download the We Shine Academy’s TNPSC exams questions paper, Model papers and previous year questions papers. Here is the simple step that has to be followed by the students to download the Daily Weekly Monthly, Full Length and Mock Exam question papers and sets of previous year question papers. Kindly Log on to the We Shine Academy’s Website for correspondence. Just click on the We Shine Students page, then you will be navigated to the We Shine Students page; there you will be having various useful and separate links to download the required daily Weekly Monthly, Full Length and Mock Exam question papers and sets of previous year question papers. And also We Shine Academy, provides a separate and useful link to check the latest notification released by the respective commission. www.weshineacademy.comHow to approach We Shine Academy? The easiest way to approach We Shine Academy, is by just giving a missed call to 8939 244 344 or drop in to We Shine office which is located in Chrompet, Anna Nagar and Adyar for joining related enquiries, demo class and other doubts.Or else kindly log on to the Social Networking Sites face book, twitter, google plus. Check out the daily Current Affairs which is again open to each and every Government exam aspirants. Get Regular updates on Recent Notifications, Daily TNPSC Current Affairs, frequently asked Questions in our Whatsapp Group in which subject wise doubts and Queries could be clarified in Image or video format. Other Training Locations: TNPSC Coaching Centres in Anna Nagar Chennai, TNPSC Coaching Centre in Adyar, TNPSC Group 2 Coaching Centre in Chennai, TNPSC Coaching Centres in Chennai Anna Nagar, TNPSC Coaching Centres in Chennai, Best TNPSC Coaching Center in Chennai.